Below are the common pests found throughout New Zealand. We provide treatment and management for each of them. 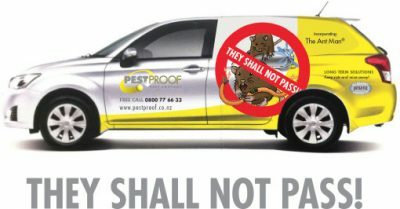 Click each pest to find out more how you can avoid attracting them, along with details of our treatment services. $414 for a service and 12 month guarantee. Bumble Bees nest relocation- $92 per nest. Extermination (if we can’t convince you to leave them alone)- $92 per nest. 6 month guarantee. One bedroom with one or two beds $345 and $230 for each additional room (2 beds maximum) if treated on the same visit. 6 months guarantee. Priced after a survey. Cost of Survey is $92. $350 per cat caught. Humane management of caught cats through Wellington SPCA or Vet clinics. $260 for service and 24 month guarantee for standalone homes (12 months only for attached homes or apartments in buildings). One bedroom house $230 – Two bedroom house $253 – Three bedroom house $276 – Four bedroom house $299. 6 month guarantee. We are against spreading poisons on your walls and ceilings. We recommend the installation of fly screens by qualified aluminium or wood joiners. Cost is $195.50. The guarantee or free call back period is 6 months. This includes providing long-term proofing recommendation if feasible. Rent and Service of multi-killing devices or live traps and humane management option ($350 per possum caught. Humane management of caught possums through Wellington SPCA). 3 month guarantee (we don’t guarantee the total elimination of spiders). This treatment will help REDUCE the number of spiders entering and will not get rid of the spiders that reside in your home already. 3 month LIMITED guarantee (This treatment will help REDUCE the number of spiders in your house, we don’t guarantee the total elimination of spiders). $92 wherever the wasp nest is on your section, and also free treatment of any additional wasp nests you get this summer. All you pay is $92 once for multi wasp nest extermination or the removal of the dead nest if it is exposed and easily reachable. There is an additional charge of $60 if a second visit is needed for the removal of an exposed nest which we have already treated (We don’t remove live nests; we need to kill the wasps first). Please note: If we attend to a wasp nest call out and no wasps nests were found on your property, we will carry out a 20 minutes inspection of the property and charge $92. If you discover a wasp nest in the next 6 months we will treat it free of charge. $92 Call out fee for false alerts or no-one-home fee.